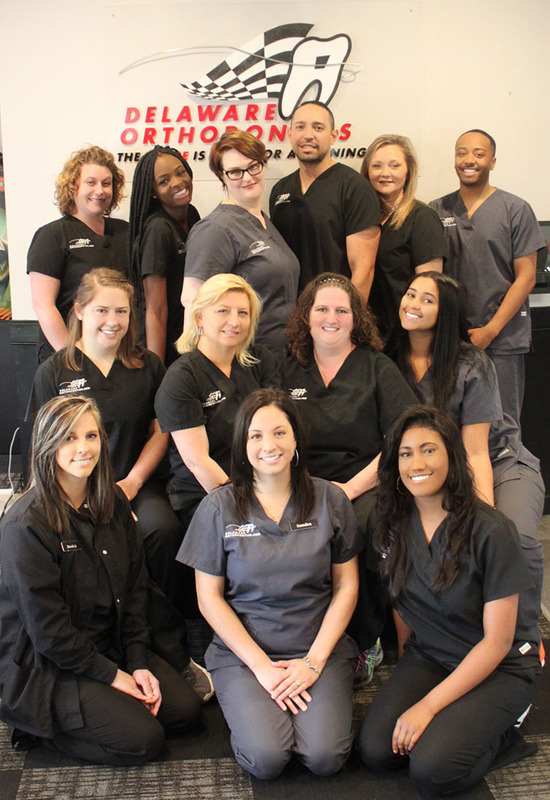 The staff members of Delaware Orthodontics are highly trained professionals. Courteous and friendly, the Delaware Orthodontics family always strives to make your experience as pleasant as possible. With a combined total of almost 100 years of experience in the orthodontic and dental fields, our Pit Crew provides high quality patient care. "I love my role as a treatment/insurance coordinator at Delaware Orthodontics and on my free time, I enjoy making memories with my two kids!" “I enjoy spending time with my family and working as a treatment Coordinator at Delaware Orthodontics (treatment planning is my favorite)!" "I feel privileged to be Office Manager to a great group of people." “I enjoy my position as an Orthodontic Technician and I like to spend my free time with my Family." “New to orthodontics but love learning everything about creating beautiful smiles"